Greater trench stability is possible because the SCB backfill creates a shorter backfill slope. 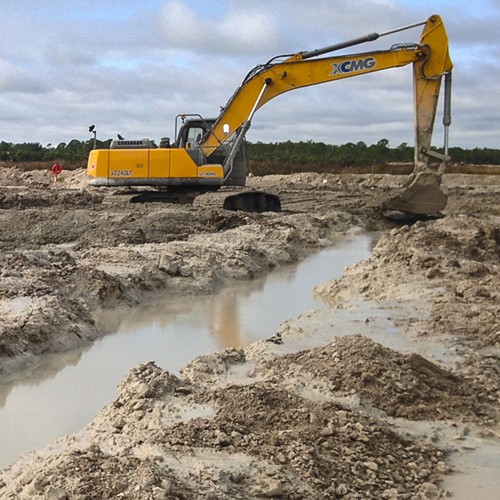 More resistant to erosion and burrowing animals – extremely important in levee applications. 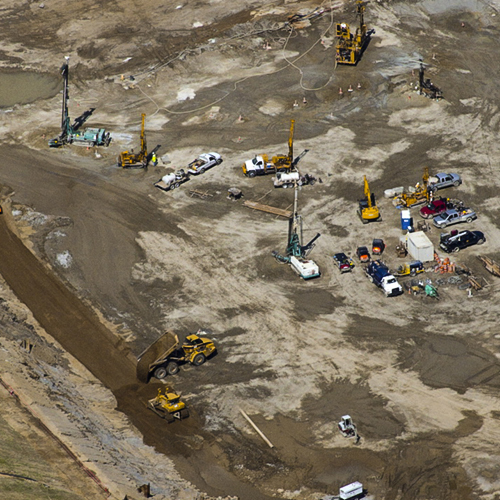 SCB as a material has also been used to provide a protective encasement for critical foundations and as a replacement for compacted clay when construction must take place in wet and cold conditions. SCB is closely related to roller compacted concrete and soil cement. 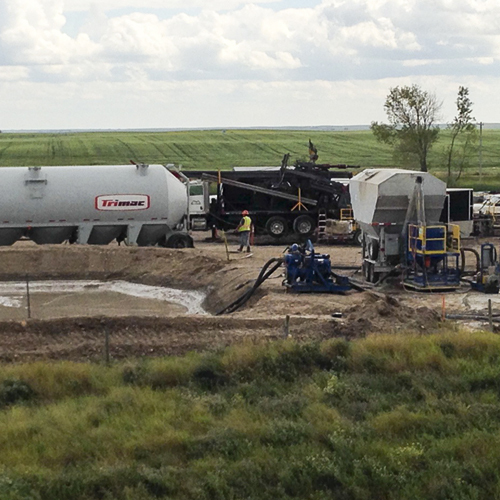 SCB walls are excavated using the same general methods as for a Soil-Bentonite Slurry wall. 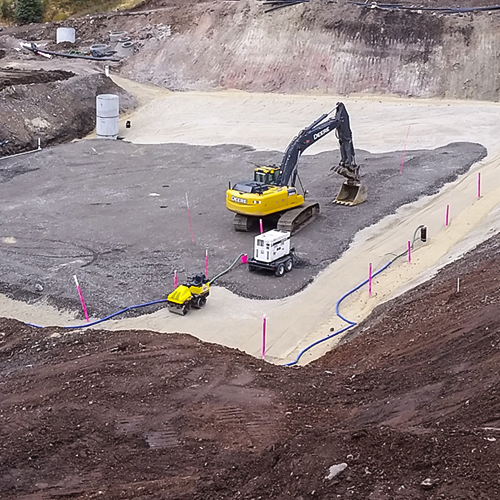 SCB backfilling requires some additional equipment for handling the cement and for making cement grout which is added to the backfill. Cement is added to the backfill most often as a grout, but also in dry powder form. A typical SCB grout plant is shown below. Because the grout must be added in small yet fairly precise ratios, mixing is often done in a mixing box rather than on the ground. Mixing is usually accomplished using an excavator, much the same as for an SB wall. 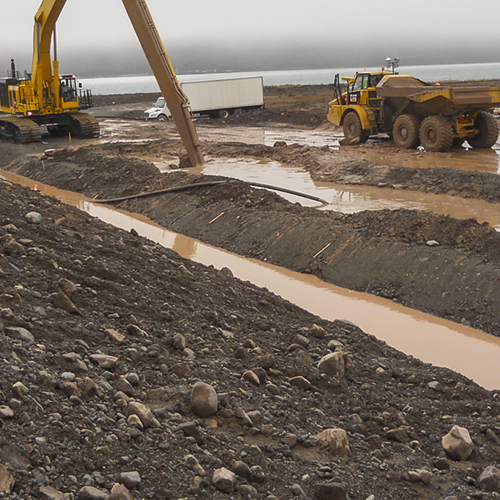 Backfill can also be placed with the excavator. 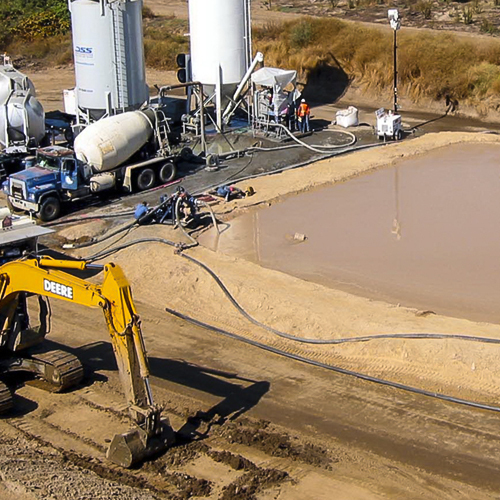 Adding the cement grout to the backfill generally means a higher (worse) permeability than would be obtained with the same material without the cement. This is because the Portland cement interferes with the bentonite and prevents it from achieving its full swelling potential. Typical permeabilities for SCB backfill are in the range of 10-7 cm/sec. Typical unconfined strengths are in the range of 30-150 psi (0.2 to 1 MPa). Unlike CB, SCB permeability remains relatively unchanged over longer time intervals, however, SCB strength does continue to improve over time. 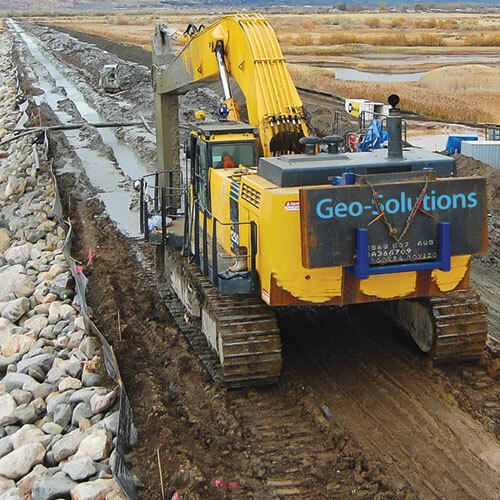 Read and download Geo-Solutions sample specs for soil-bentonite slurry cut-off walls, cement-bentonite slurry walls, soil-cement-bentonite slurry walls, composite slurry walls, and bio-polymer slurry groundwater collector trenches.